Alaska companies that haul freight to remote locations. 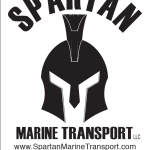 About Us Spartan Marine Transport is a small, locally owned LLC. Our Coast Guard licensed Captains have more than 70 years combined experience operating all kinds of water craft, with 30 years of that in Alaskan waters.